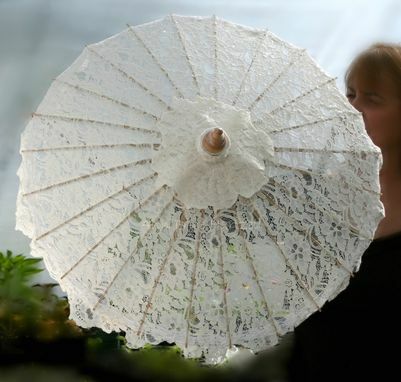 Lace wedding parasols. Parasol can be made with your selection of lace. Match your gown, if you like. 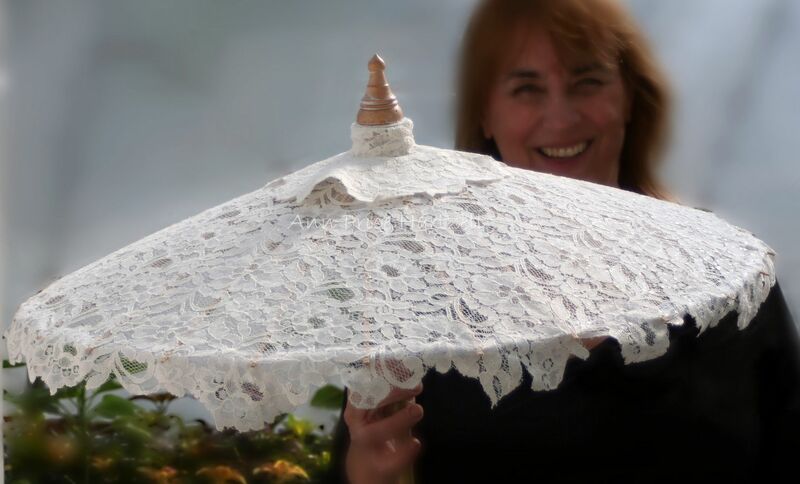 Ivory Lace Parasol sparkles with tiny sequins. 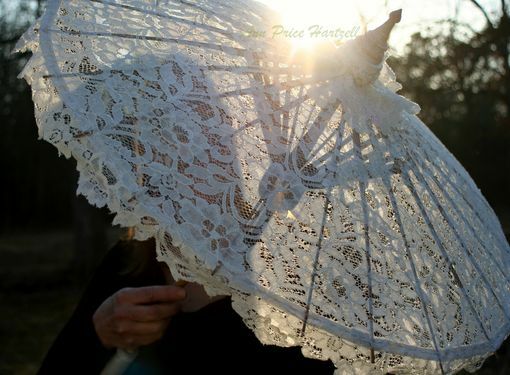 Ivory Alençon Lace with tiny sequins makes this parasol glisten in the sun. Thai style parasol features wooden handle and carved finial, an elegant silhouette perfect parasol for a Bride. 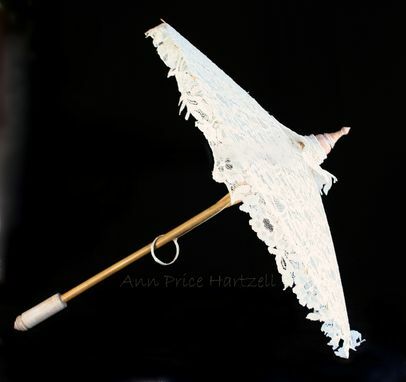 Parasol features bamboo frame, wooden handle and carved wooden finial (point at top. Fully open, the parasol canopy is supported by natural color bamboo ribs and measures 26" inches across and 29 inches long. Includes its own coordinating bag. Ivory, white or pastel colored lace available. 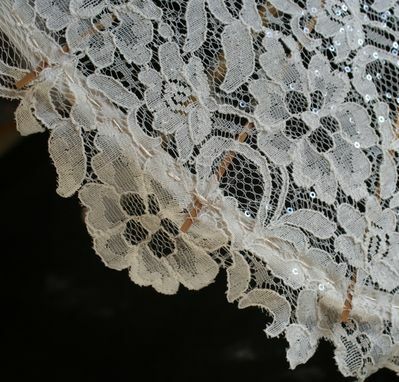 You can select your own lace or match your gown.